Consideration in design of key: 1) Power to be transmitted. 2) Tightness of fit 3) Stability of connection 4) Cost 5) Crushing failure of key: 6) shearing failure of key 7) Material of key ,shaft should be same but key should be weaker than shaft . A bracket as shown in Figure No. 1 is fixed to a vertical steel column by means of five standard bolts. Give two examples, where screwed joints are preferred over welded joints. i) Cylinder head of the engine. (ii) Machine foundation. (iii) Assembly of fan, couplings. Any two examples (iv) Connect two bogies of the train with the turn buckle. 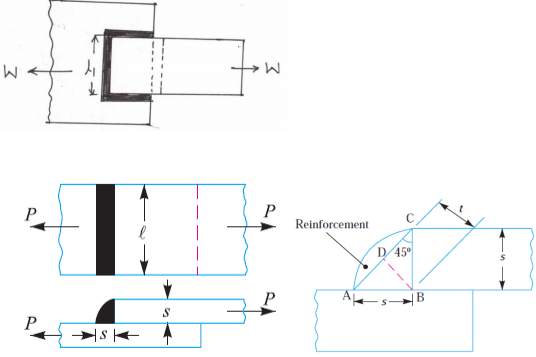 (v) Structural bridges, pressure vessels, fly press (vi) Assembly of crank shaft and connecting rod. State any four advantages and disadvantages of welded joints over riveted joints. 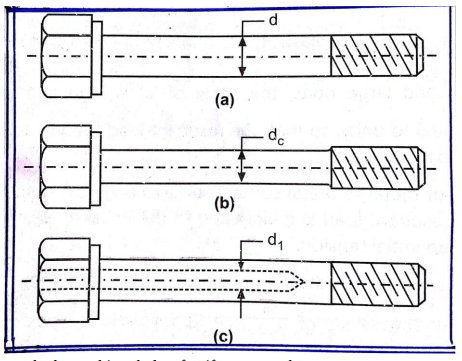 the threaded portion such that the cross sectional area of the shank becomes equal to the area of the threaded portion If bolts of uniform strength are not used a large portion of impact energy will be absorbed in the threaded portion and relatively a small portion of energy is absorbed by a shank. 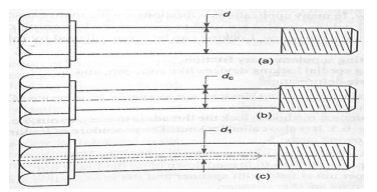 This uneven distribution of impact energy may lead to the fracture of the bolt in threaded portion .hence bolts of uniform strength are preferred. State four disadvantages of screwed joints. 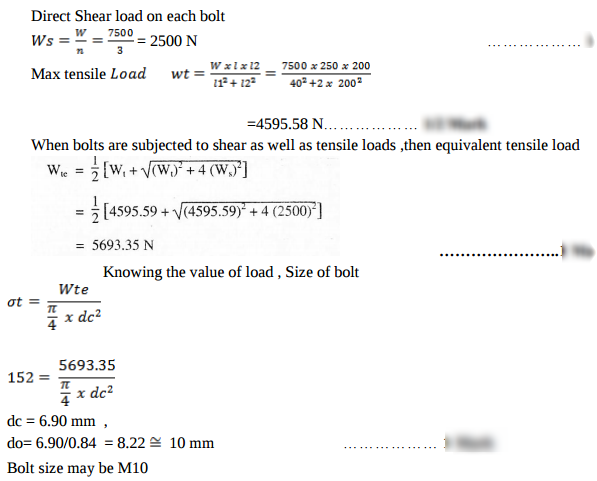 Derive strength equation for parallel fillet weld subjected to tensile load. 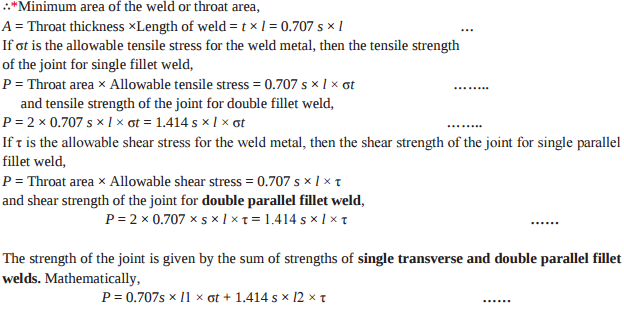 Derivation of strength equation for parallel fillet weld subjected to tensile load The parallel fillet welded joints are designed for shear strength. 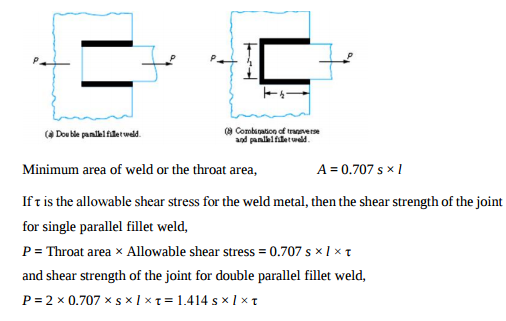 Consider a double parallel fillet welded joint as shown in Fig. A steam engine cylinder has effective diameter of 250 mm. It is subjected to maximum steam pressure of 1.5 MPa. The cylinder cover is fixed to the cylinder with the help of 12 bolts. The pitch circle diameter of bolts is 400 mm. 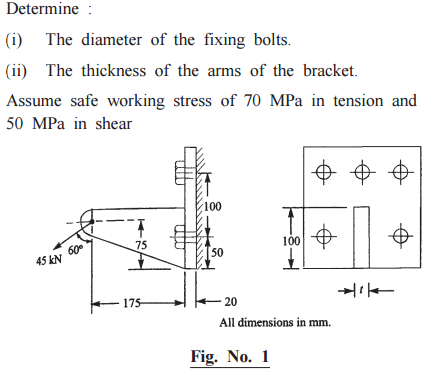 Permissible tensile stress of the bolt material is 30 MPa. 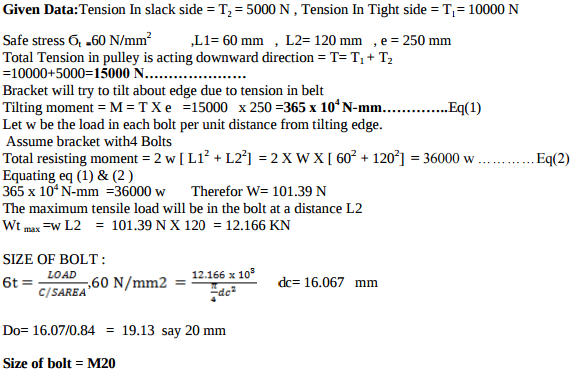 Determine nominal diameter of the bolts. 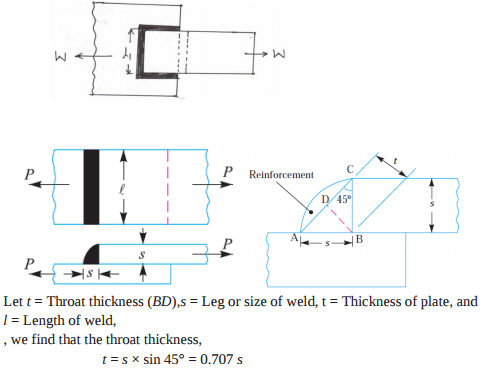 State the strength equations of double parallel fillet weld and single transverse fillet weld with neat sketches. 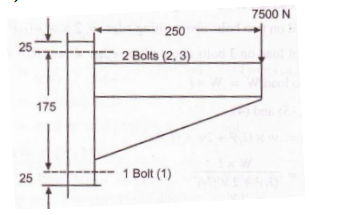 Explain with neat sketch the bolts of uniform strength. A cylinder head of steam engine is held in position by M20 bolts. The effective diameter of cylinder is 350 mm and the steam pressure is 0.75 N/mm2. If the bolts are not initially stressed, find the number of bolts required. 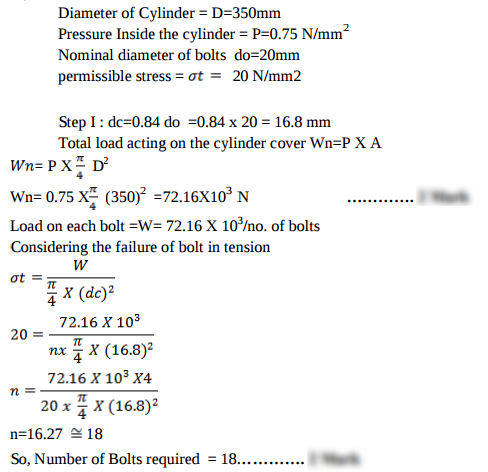 Take working stress for bolt material as 20 N/mm2.